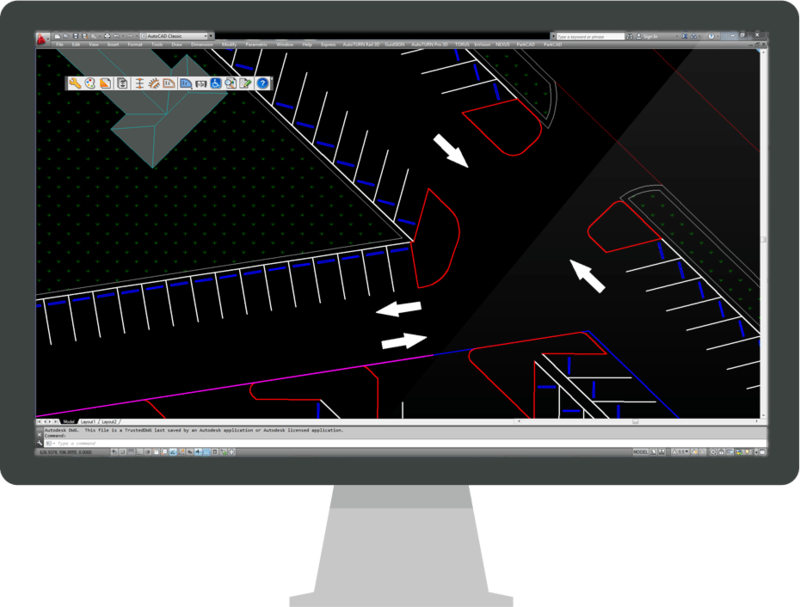 Engineers, architects, and land developers use the advanced features in ParkCAD™ to design multiple parking sites in minutes. Without the need of tedious re-calculations and re-drafting – parking space is maximized while remaining compliant to set area dimensions. Parking planning is made easy with real time stall counts, parking object editing, quantity takeoff costing, and powerful reporting abilities. Let ParkCAD automatically run different combinations of row layouts, rotations, and positions to create the optimal parking space yield based on your parameters. You then simply review the iterations and choose the best one. Save time, effort, and costs. Proven to be over 70% faster than traditional methods, see how ParkCAD has helped users reduce cost and time in the process of developing multiple parking site iterations.